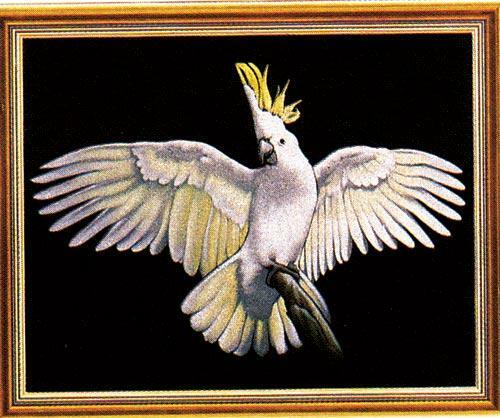 This cockatoo virtually comes to life with the magic of black velveteen. Pre-shaded and measuring 42 x 57cm. Requires colours: 1, 2, 3, 75, 84, 85.